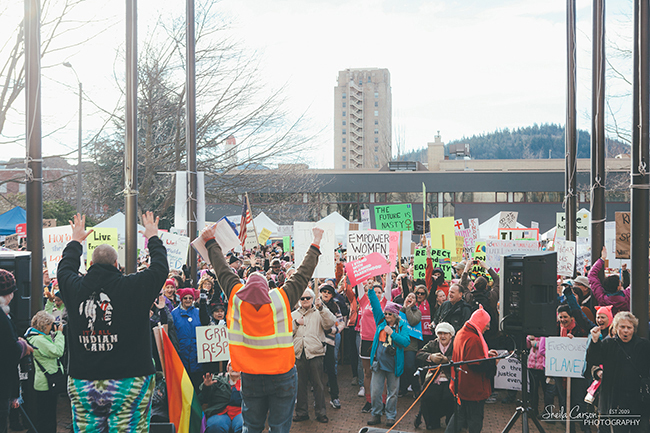 I was invited to come out and help cover the 2017 Womxn’s March in Bellingham last weekend. There were some interesting moments along the way. 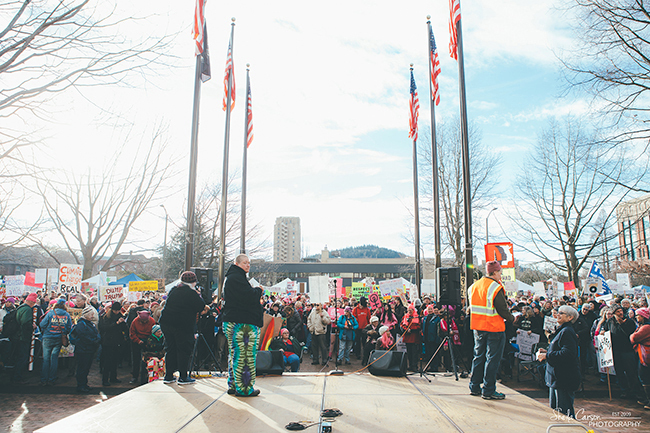 I focused on capturing the reactions of the people on the street as the marchers passed them by. Most were positive, or just interested. One gentleman was not so positive, as you can see. There was another gentleman (you can see him in the crowd in some of the photos) that had his face covered with only his eyes showing. He didn’t give me a good feeling. I later read a post about someone who fit his description spreading hate propaganda. It’s unfortunate, but I’m glad it didn’t escalate into anything physically violent. The moment when the gal stopped and just stared into the police officer’s eyes was interesting to me. I’m not sure what that moment was about. I’m glad I was there to capture it though. All in all, the feeling I got was that it was a peaceful event filled with love and hope.